10 Dos & Don’ts For When You’re Wearing An Ethnic Outfit! Wondering whether you should buy that anarkali or not? 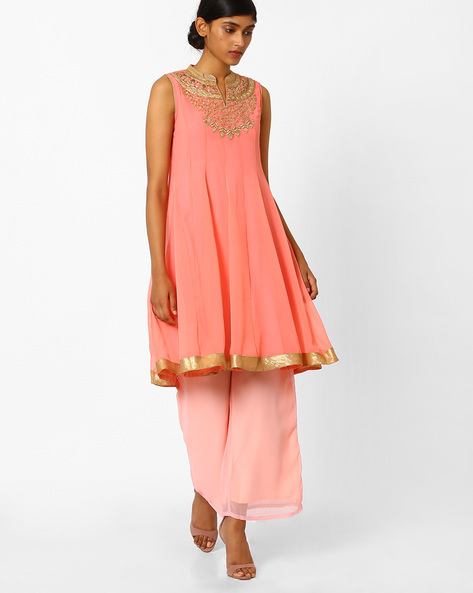 Are you often confused about what styles will suit you when you go Indian wear shopping? Well, you’re in the right place because here are dos and don’ts of wearing ethnic wear, as per your body type! Do: If you have an apple-shaped body type, wear suits and salwars that highlight your legs and the upper half of your body. Try to go for suits that are long and have an A-line style and broad necklines. Even if you’re wearing a saree, try to opt for a blouse with a broad neckline. Don’t: Avoid wearing any type of suits that fit too tight on the waist. Since this is your problem area, you should not wear a suit or a saree that’s too fitted around your waist but has a relaxed silhouette. Do: If you have a pear-shaped body type, you’re most likely to be heavier on the bottom. In this case, anarkali silhouettes are the best bet for you and will look really, really great on you! Wear darker hues on your bottom and lighter colours on the top to make your body look really great! Don’t: Opt for blouses or suits with intricate neckline detailing or halter necklines and more. These little tricks will help draw the eye towards the upper part of your body, which is slender. Do: A rectangle body type is one where the top and bottom is more or less the same. Wear styles that will give your body some shape. Layer more and try the Kaftan style to add some character to your Indian wear. Don’t: Try to not wear body fitted suits, and even when you’re wearing a saree, go for something that can be draped differently- just to make your figure look a little fuller. Long kurtas paired with palazzos will look great on you! Do: If you have a petite figure, the only foolproof trick is to layer, and layer well. Wear indo-western outfits, mix and match trends such as a kurti with a jacket and tight fitted jeans. You can also try wearing a lehenga or an ethnic skirt with a kurti to make your figure appear fuller. Don’t: If you have a petite frame, avoid wearing styles that are relaxed, loose or too roomy, because they will not fall well on your body type. And if you do wear anything that’s anti-fit, add a belt or an accessory that will take away the attention from it. Do: You literally have the power to flaunt any outfit because your figure allows you to! 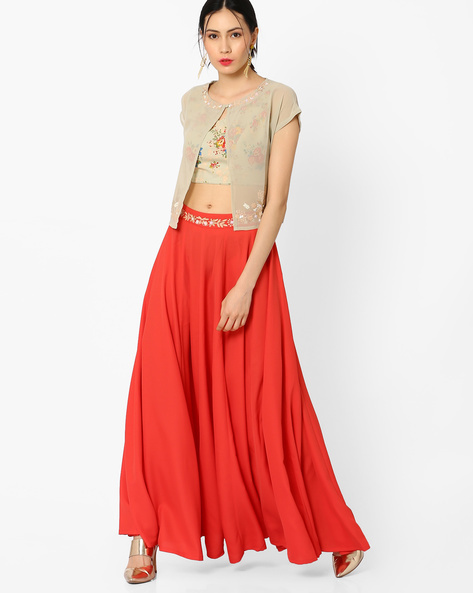 Wear low waist lehengas and short, short blouses that show off your waist. 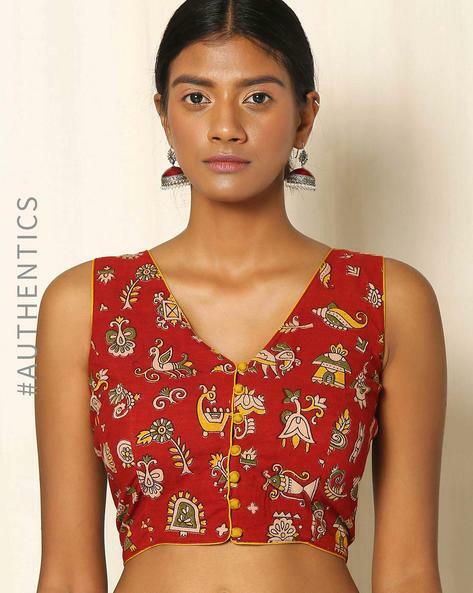 You can also pair your kurtis with fitted pants to make that booty look hot! Don’t: Don’t wear fabrics that will weigh you down and that have a tent-shaped silhouette, hiding your curves. You’ve got them curves and you shouldn’t leave any opportunity to flaunt them, girls! Do: If you have narrow shoulders and a heavier bottom and waist, avoid styles that will highlight your booty. Opt for sleeveless blouses, and darker colours for skirts, lehengas and more that will make your figure look super hot. Don’t: Don’t wear light coloured churidaars or palazzos with fitted kurtas as they will make your figure look a little disproportionate. Balance out the colours in your outfit and plan accordingly. Do: If your problem area is your tummy or you’re heavier on the chest, go for styles that cover up the top and layer the bottom. 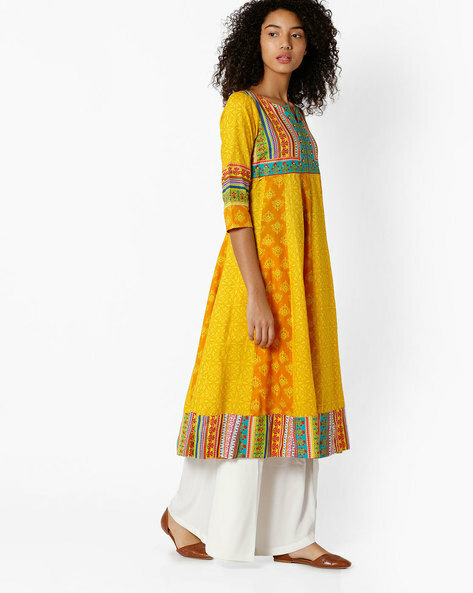 You can totally work kurtas that are flared and flouncy on the lower half to draw attention to that part of your body. Don’t: Don’t wear styles that will make your upper body look heavier than it is. Give that off-shoulder blouse or kurta a miss. Also, don’t wear things that are too tight-fitted on your stomach area. Do: Work up your collar bone game and wear empire line styles that will fit well and highlight your best areas! Don’t: Ditch those cropped blouses, suits and all those things that bring focus on your waist. It’s only going to make you look bulky and bring the attention your problem area. Do: Peplum blouses and kurtis are your best bet because they will highlight the narrowest part of your figure. You can also try one kurtas with a broad belt or anarkalis that are really fitted on the waist to experiment with newer styles. Don’t: Don’t wear things that are too flowy or have a straight fit. If you have a diamond shaped figure, try to not wear kurtis that have big sleeves or have lot of frills or ruffles on it. 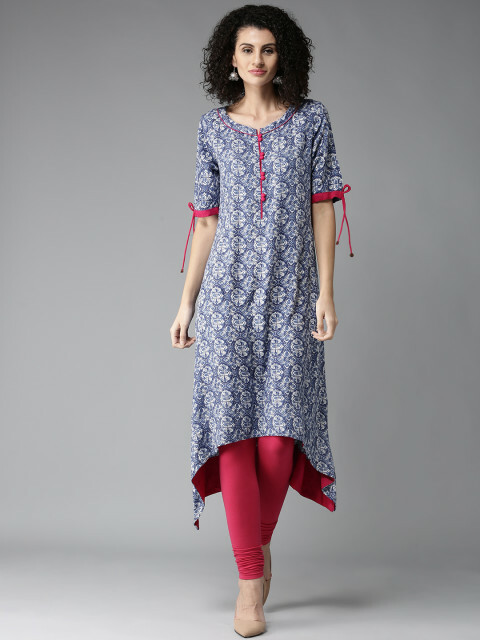 Go for straight fit ot A-line style kurtas. Do: If you have an athletic frame, chances are that Indian wear is a great option for you. However, we suggest you wear styles that are full sleeved but with deep necklines; this will highlight your best features and make your body look uber hot! 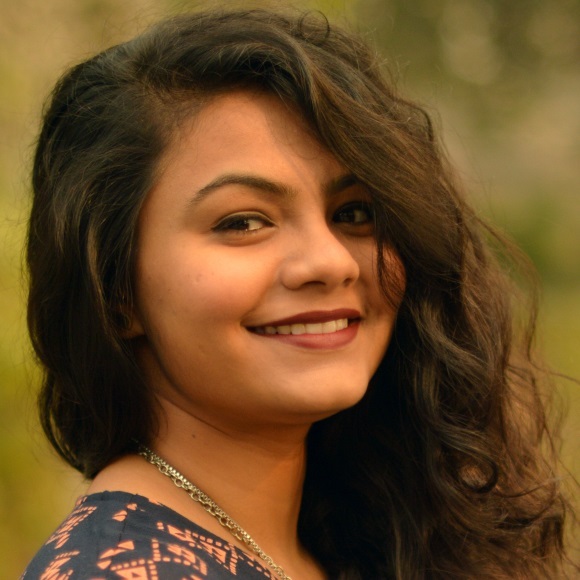 Don’t: Don’t wear styles that have noodle straps, be it in suits or even sarees with blouses that have halter necks etc as they will make your shoulder look broader. Cape style blouses in fairytale colours will give your Indian wear ensembles a feminine touch!